The Fitness First Health Club is located in the first floor and offers Club Members and guests the opportunity to work out in any one of their superbly equipped gymnasiums or to simply flex. There is also a range of treatments and therapies are provided by a team of highly trained professional staff. Offering snooker sports as part of recreational facilities in the Club was very helpful to members as they enjoy playing as form of entertainment whilst others play while talking business with their associates or guests. You can enjoy daily evening drink by an open fire place right in the same place. Keeping pace with today’s fast moving business world is essential and to this end the United Kenya Club can source a wide range of state of the art business support services to meet the most demanding of presentation requirements. 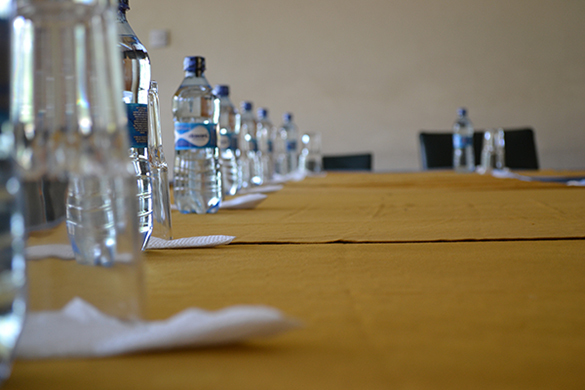 Whatever your meeting room needs, the United Kenya Club has the perfect combination of facilities and services. Our smaller private room yet still with the same traditional as the rest of the Club the UKC Meeting Room can seat up to 10. This room is ideal for smaller private gatherings.